If you have questions or would like to set up an appointment please contact us by phone at 307-272-1753. Please note that HMFC accepts walk-ins, if time is available with the doctor. The location of the office (1735 Sheridan) is different from the clinic. 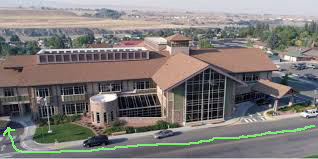 The clinic is located at Cody Regional Health in the Surgical Department, 707 Sheridan Ave, Cody, WY. A map is included below.